There's something about pulling up to the front of the house and changing the gears to park. It gives me a sense of accomplishment. Finally! We made it. We survived another working week and this one had a tremendous amount of snow. I usually enjoy a few minutes just browsing on my phone in peace and quiet before Gee starts screaming, "Mommy can we get out now?!" But this day, my serene sense of accomplishment quickly vanished when he said, "Mommy, let's get out. I want a di*#. I need a big shovel!" My heart paused. I asked very slowly, "What did you say you want?" He eagerly replied, "I want a di*#." I stayed calm outwardly, as I mentally started thinking about the other schools in the area. See I mention the school because Gee's home environment is very well monitored. So I know what kind of words he is exposed to... and there isn't much going to see friends or anything like that without me. I brought the smallie into the house along with our backpacks and called Grandma straight!! Very codedly, I was like Grandma we need to talk. Gee just said some very foul language Again. Unfortunately, we had an incident before this and Grandma got a kick out of the naughty phrase, but she knew I didn't take it lightly. So she's all like, "correct him and move on... no biggie." No Biggie?!?!?! I am raising a fine specimen of a man with integrity. I cant deal with external influences adding negative features. What the hell Sorry, I meant heck... What the heck was so funny? I responded why are you laughing?! And took Gee to the room and explained to him how he shouldn't repeat things he hears troublemakers at school say. And how it's not necessary to be their friends. We spoke at length and I made sure this very smart toddler understood that di#k was a bad word and he wasn't in trouble, but he had to make better choices. It. Was. That. Serious. I got back to my phone and bestie had responded... and I almost collapsed. The boy was saying DIG!!!!! And his mommy was hearing... well. After realizing this, I tried all evening to get the boy to say the word dig, and ehm he refused. I felt like a complete idiot. 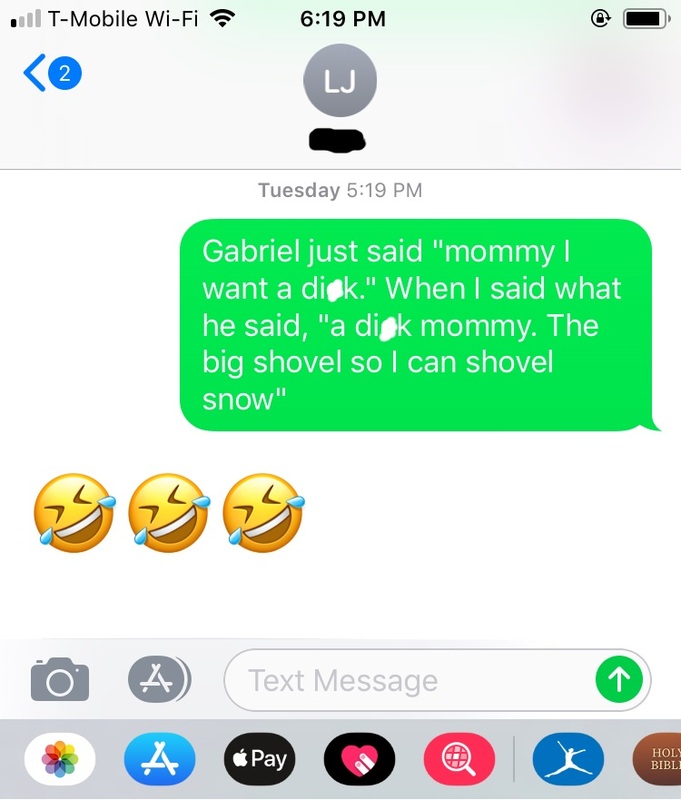 I couldn't even tell my mom, well um Gee actually didn't say a bad word. His mommy just heard a bad word.